Gamers play Vel'Koz as a high-range poke mage. His burst damage with Luden's Echo and Morellonomicon is incredibly high, and if players can land all his skill shots they are rewarded with damage that absolutely melts away any champion. However, there's a new meta build that skips the "if" part and slows the enemy by so much you could hit them blindfolded. Recently, Bjergsen from TSM brought this build to the world on the big stage. However, this setup has been floating around Korea for at least a month now. While it's difficult to pinpoint the exact person to first start this build, this reddit post is the earliest I've seen on the topic. Either way, this build hones in on increasing laser burst consistency. 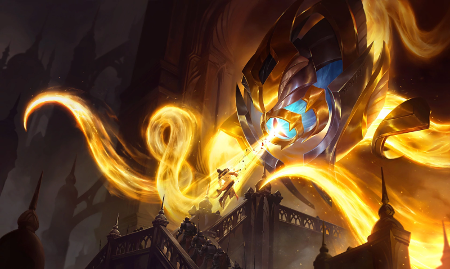 By taking full advantage of Vel'Koz's incredible base damage, players can blast through enemies on their way to higher divisions. Check out how to play below! The combination of double slowing active items along with the Glacial Augment rune gives Vel'Koz nearly guaranteed skill shots. This maximizes his already incredibly high base damage, which is balanced around being difficult to combo. As you can see, the second build makes you a bit squishier and reduces your damage, but allows you to hit more spells more frequently for 1000 gold less. This build gives you access to both Cosmic Insight and an extra 10% cooldown early on. As a very spam-heavy poke champion, this is extremely valuable during all points in the game and allows players to maximize his powerful sustained damage. Vel'Koz's Q and E have good catch potential, but they're telegraphed and predictable. Meanwhile, Twin Shadows gives him the ability to hit a single button and slow two champions by 40% instantly, comparable to the initial slow on Nasus' wither. Playing this style means that Vel'Koz generally needs to be within his 550 range auto attack to maximize his slowing potential. This is vastly smaller than the 1050 to 1100 range of his Q (albeit doing much higher damage at short range). The runes and items in this build are both weaker than the standard Vel'Koz build. This means that while he hits his power spike earlier, this version of Vel'Koz is considerably weaker in the late game as he scales up. Most games don't last too long nowadays, and having a weaker late game doesn't necessarily end up as much of a deterrent from using this build. Generally speaking, games will end faster than you can fall behind on scaling. This means that in most cases, this build is ideal for its consistency and will earn you more LP in the long run. 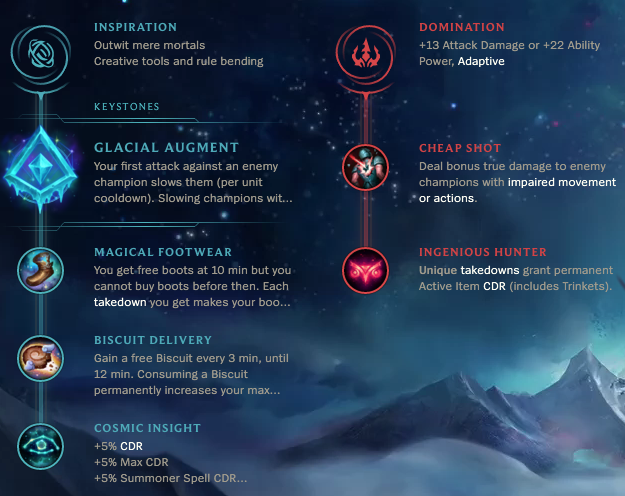 What do you think about Glacial Augment Vel'Koz? Comment below!